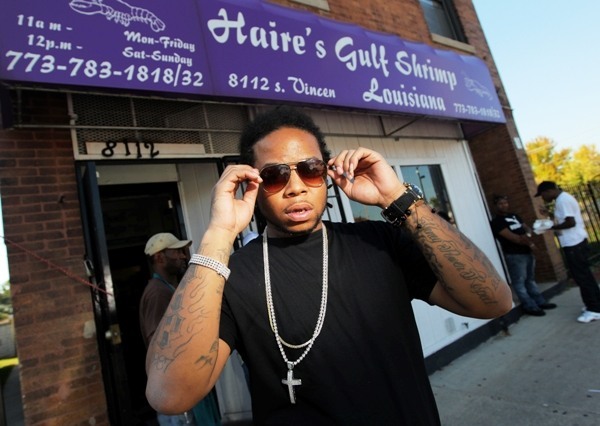 Recently, the influence of Chicago-based rappers on the music industry has become undeniable. Artists from this city are changing the face of the game every day, and we at Studio 11 are always honored when talent we have had the chance to work with long-term get their break and sign with a major label. 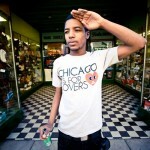 Well, a few weeks ago, we had such an honor, with our client, Rockie Fresh. 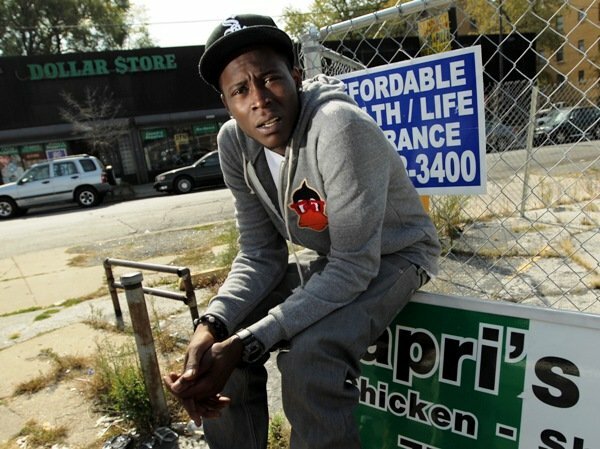 After the local success of his first mix tape, Rockie’s Modern Life, Rockie found his way to Studio 11 in 2010 by way of his producer, a long-time client of the studio, The Gift. At this point, we started working on his The Otherside mix tape, footage of which can be viewed HERE. The Otherside turned out to be amazingly well received, and did great numbers online, setting him up for an even more successful run with his third mix tape, Driving 88. 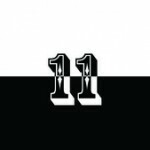 The exposure from these Studio 11 mixed projects elevated Rockie to a nationally known artist who began garnering the label attention he deserves. RCA, Columbia, and Universal were just a few of the labels courting him for a contract. More notable, though, were Rockie’s recent label talks with both Diddy and Rick Ross. After a late night out in New York City with the record mogul, Rockie ultimately decided to sign with Ross’s Maybach Music Group just before sunrise on July 12. For those of you who have been following Rockie or Rick Ross on Twitter, this may not have been a huge surprise. Around two months ago, Rockie released a video for Into the Future, the intro track of his previous mix tape, Driving 88. Ross showed his appreciation for the young talent by posting a link to the video in his Twitter feed multiple times after his A&R put Ross on to the video. What followed was a snowball of internet attention for Rockie, which could not have been far from his mind when Rick Ross came knocking at his door. 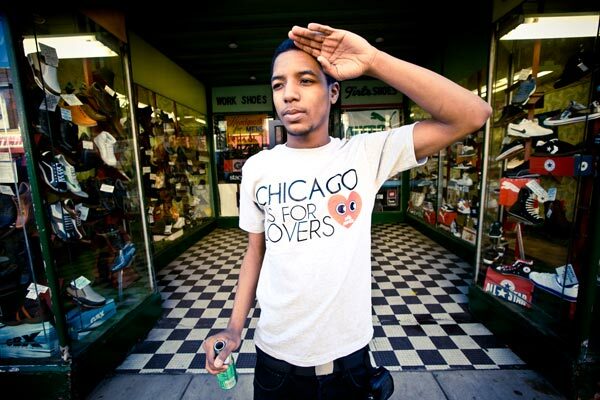 Rockie Fresh will be starting his next project, Electric Highway at Studio 11 this week—check back for updates! The Chicago Tribune recently ran an article titled “The New Faces of Chicago’s Hip-Hop Scene”. Much to our delight, 3 of the 10 featured artists work right here at Studio 11. The article pays tribute to local hip-hop artists who are making a lot of noise not only here in Chicago, but on a national level as well. King Has been recording at Studio 11 since 2005, and has recently enjoyed a boom of popularity and recognition. King’s catalog is dauntingly massive as he is one of the most prolific artists this studio has ever seen. His combination of utter cleverness and freestyle ability has helped him complete a staggering amount of cool tracks, so its no doubt that his name is buzzing. Although Rockie is no newcomer to rap, he is a fairly new client at Studio 11. Rockie started work up here with his extremely powerful and impressive “The Otherside” mixtape, which did amazing numbers online. Rockie is currently working on a new project up here and a few leaks are already floating around the web. Be on the lookout for “Driving 88” coming soon. 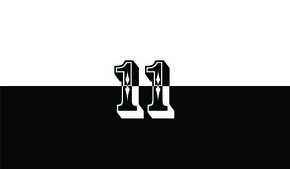 YP is another long-time client of Studio 11, having blazed the booth since 2005. YP has recently acquired new management and has since been killing it in the streets, on the stage, and on the radio. This past fall saw the release of his most solid mixtape to date, “Still Awake”. 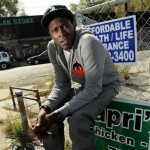 Without missing a beat, YP started work on his next project the day “Still Awake” was released. YP has teamed up with some well known producers and is collecting some features from huge artists, so there is no doubt that his next project will make some serious waves. 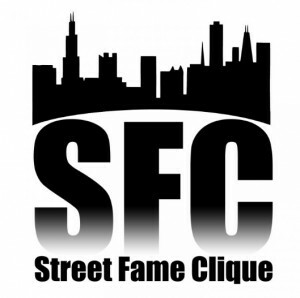 It seems as though the hip-hop scene in Chicago is finally coming together to form some sort of movement. I feel like there is more support than there has been for quite some time, and artists of vastly different styles are coming together for the cause. I for one love being at the boards through it all watching and helping the artists come one step closer to their creative aspirations. As always, thank you for your continued loyalty! This week Studio 11 was visited by east siders Saint Nick and D. Brown, of Street Fame Clique Ent. St. and D have done multiple projects through Studio 11’s B room over the years, and their material seems to keep getting stronger and stronger. Both artists have done some maturing in recent years, fine tuning what their voices are capable of, with Saint gaining confidence as both a rapper and singer, and D finding his dominating tone as a rapper. Here we get to see Saint working on his new joint “Its Nothin” for an upcoming project. The track has a huge energy and a massive “call and response” style hook. Saint’s music always challenges me as an engineer, and this song was no exception. Nick really likes his punch-lines to shine, and I often find myself digging deep into my bag of tricks to accommodate him. This song was recorded with our typical all tube vocal chain used in Studio B, and mixed on our Pro Tools HD system. Creating headroom on a track this massive was a bit tough, but some delicate side chaining really made the vocals stand out and sit out front. Some cool sound effects from my collection were used, as well as a Transformers sound that Nick found online. All in all it was a short, but fun session and we wound up with a banger. Check out more from Street Famous on their Facebook. GO BULLS! GO A-LIST ! Every now and then we at Studio 11 get to work on some stuff outside of our norms. Recently I got to work with longtime Studio 11 client A-List on this short music video promoting home-town hero Derrick Rose. The video, containing tons of slick D. Rose highlights was cut together with an original track by A-List, and the results were quite uplifting! A-List is always on the grind working on cool projects and has had weekly segments on 3 major cable networks. Check out his you-tube channel for more of his work. We recently had our boy Kris Warren in the studio workin on some tracks. Kris has really stepped up his game this year and has been busy making videos and traveling to promote his music. Here we get a peak at Kris working on a joint called “Run Tell That“, a track riddled with classic Chicago pimpery. As you can hear, there are some female vocals performed by one of Kris’ go-to girls Amanda Cameron. The beat is produced by once Chicagoan, now Angelino, Jomekka. This was a simple record to record and mix. Kris likes his stuff pretty natural sounding, so we kept his voice pretty dry, and saved most of the vocal effecting for Amanda’s parts. Both vocalists were tracked through the Audio Technica At-4060 and the Manley VoxBox. Amanda’s voice was wet up with the Waves Supertap Delay and some Sony Oxford plate reverb emulation.